Put down that to-do list. Turn off your phone — or at the very least set it to silent mode. And don't even think about squeezing "just one more thing in" first. It's time to prioritize you with a relaxing self-care regimen. The proverbial chill pill doesn't come in medication form; it can come from calming beauty products. Consider a long soak in the tub, an indulgent face mask or a mini spa day at home, possibly with some chill music, candles and rosé. There are no fixed rules for using beauty to relax as long as you're dedicating time to yourself and actually staying in the moment. And if you really want to step up your relaxation game, Creme Collective founder Leilah Mundt suggests looking for ingredients like chamomile and blue tansy, along with lavender and trendy CBD to bolster the tranquil mood. "A skin care ritual that combines calming and sensuous ingredients that work their magic helps us to slow down and enjoy the experience," adds Girl Undiscovered. "These quiet moments not only soothe your skin they soothe your soul. Focusing on the ritual brings a holistic approach to beauty and creates a sense of calm that will benefit your entire well-being." 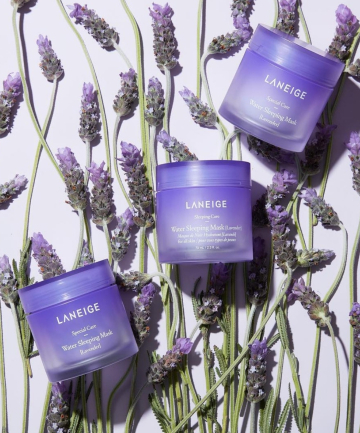 Certainly sounds like time well spent to us — so, sit back, relax and let your troubles (and scaly skin) disappear with these 13 calming beauty products.